The word Mediterranean is from Latin which means middle terrain. Mediterranean Cuisine has a very heavy meat influence. But their vegetable preparations are equally delectable. 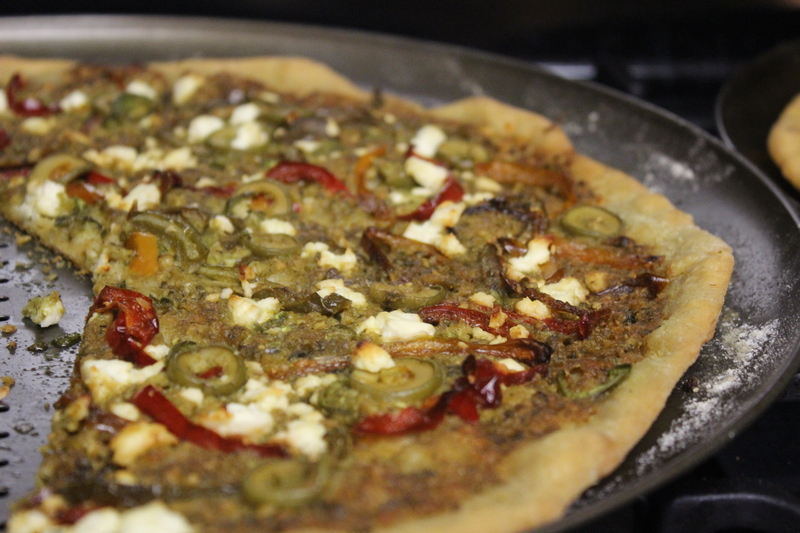 The marriage of Italian and Mediterranean flavors plays out very well on a pizza. This is what I tried to do in my take of Mediterranean Pizza. Have fun making this as much as I did making and eating it. To make the pizza base, follow the instructions in the post “Simple Italian Pizza“. Cut the peppers julienne. Spray olive oil, garlic salt and roast it in an oven at 425º for 15 mins. Cut the olives finely. Spread the pesto sauce on the pizza base. 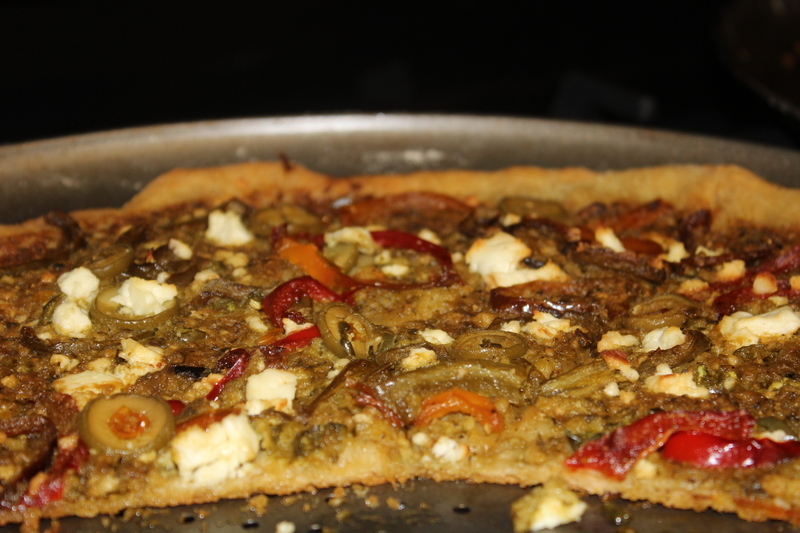 Sprinkle feta cheese, julienne roasted peppers, olives and red peppers sprinkles. Bake the pizza in the oven at 450º for 18-20 mins until the base is cooked. Yummy pizza is ready to eat. Tip: you can use tomato sauce instead of pesto sauce to make an alternate version of the same pizza.